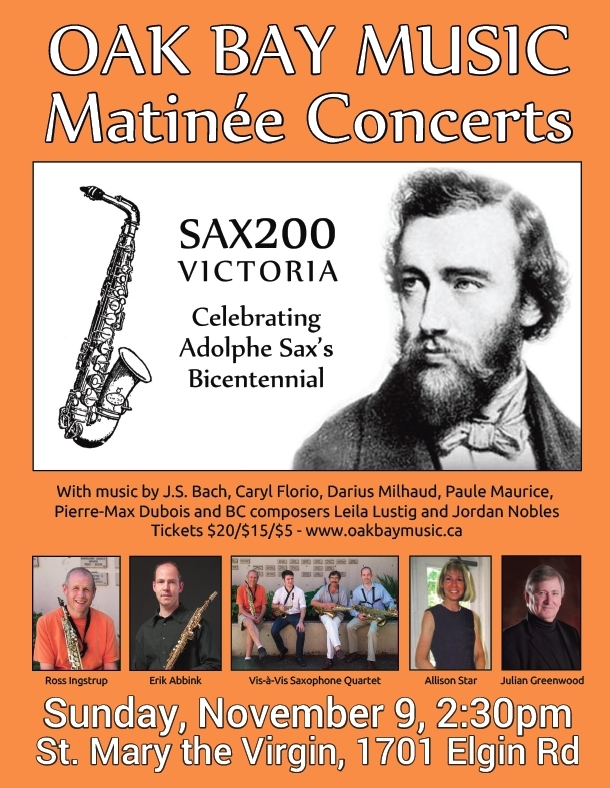 SAX200:Victoria – An Adolphe Sax Bicentennial Celebration | Oak Bay Music: Chamber Music Concerts Victoria B.C. 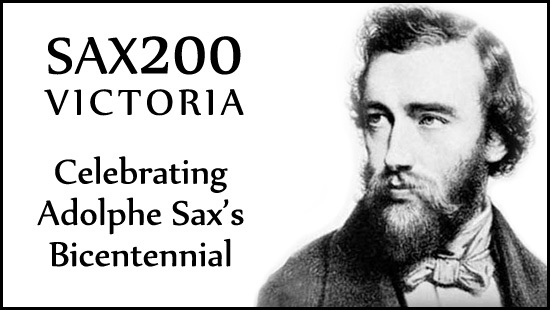 On Sunday November 9th, at 2:30pm, saxophonists Ross Ingstrup, Gord Clements, Chris Watt, and Erik Abbink, in collaboration with pianist Julian Greenwood, will celebrate the 200th birthday of the inventor of the saxophone – Adolphe Sax. They will perform music by Bach, Florio, Milhaud, Maurice, Dubois and BC composers Leila Lustig and Jordan Nobles. Tickets ($20/$15/$5) are available at Ivy’s Books, at the door and online. Works by J.S. Bach, Paule Maurice, Darius Milhaud, Pierre Max Dubois, Caryl Florio, Leila Lustig, and Jordan Nobles. This concert is presented in partnership with the BC Saxophone Society.